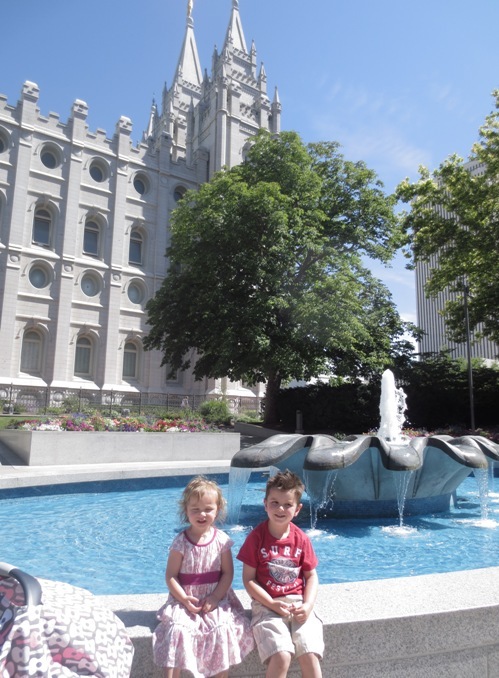 We had a very nice little trip to Temple Square on our trip. The kids loved it. 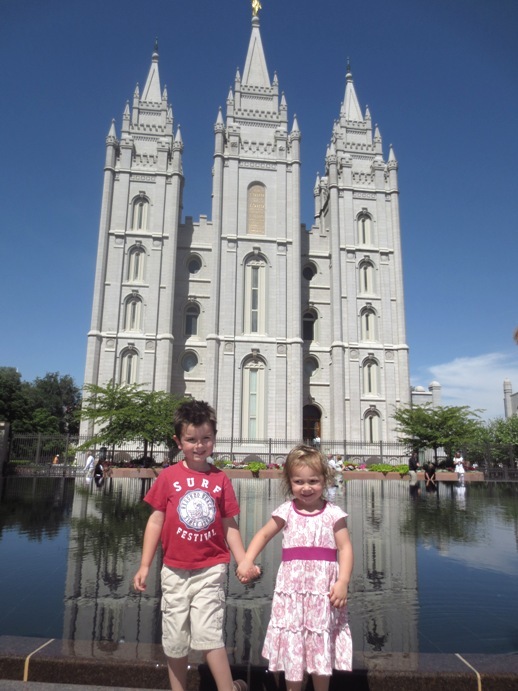 Kaia thought it was so pretty, and they loved the Christus statue. They’ve both been before, but I don’t think Kaia remembers. 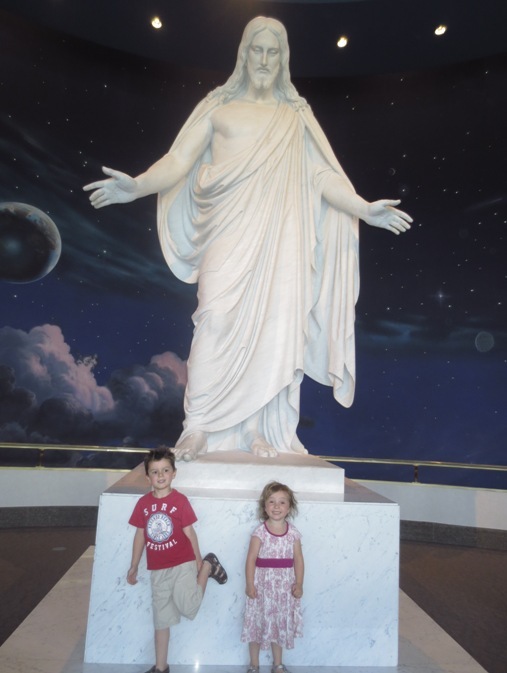 I loved seeing her excitement of the whole visitor’s center and the pictures of Jesus. Britton liked the model of Jerusalem too. I love that it looks like He”s watching over them.